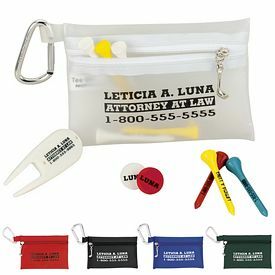 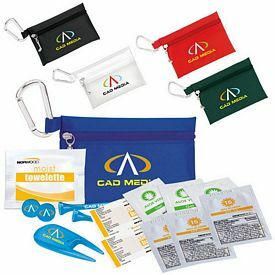 Personalized promotional products can change the way your business works. 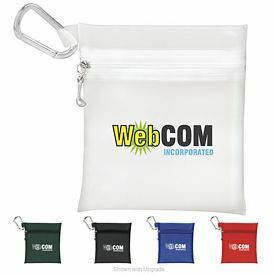 There is a greater inflow of customers as they get to know about your company and its services. 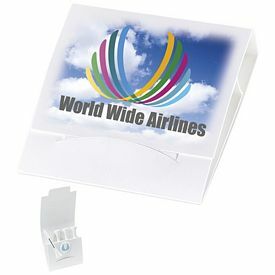 They also pay proper attention because of the satisfaction and warmth that comes with getting a free gift. 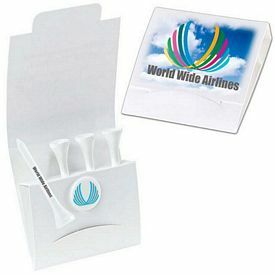 Promotional golf tees are small but useful products that appeal to anyone who likes to play golf. 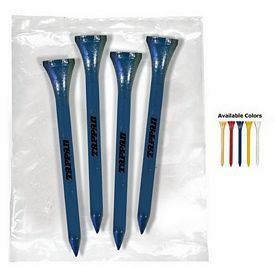 A custom golf tee is an object that the players need to put on the ground in order to prop up the golf ball. 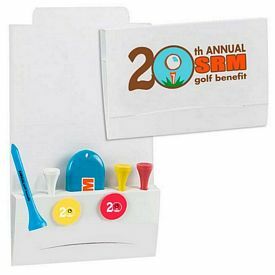 The players then take a swing with their golf sticks and send the golf ball flying towards the designated hole in the field. 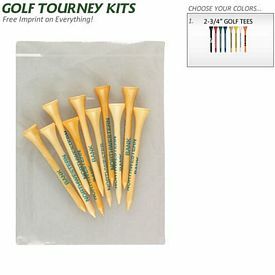 Thus, however insignificant a promo golf tee might appear to be, it is vital to the game. 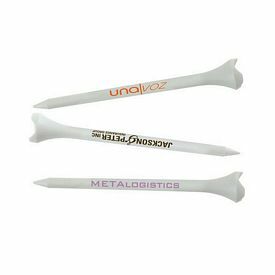 Advertisement of your company name and logo can be successfully done by getting the most essential details imprinted on the golf tees. 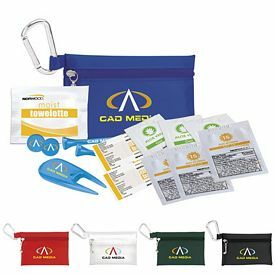 These details can familiarize the users with your company, so that they always consider purchasing your products or services. 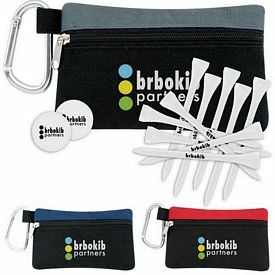 Golf players are generally very indulgent when it comes to the game, so they will spend a lot of time using the promotional golf tees. Even if you distribute the branded golf tees to all of your visitors or customers, they will find a way to get it into some use. 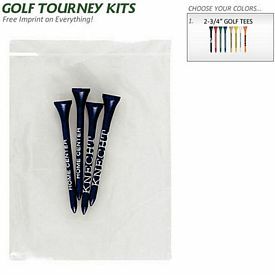 They might pass it on to a friend or relative who wants to play the game. 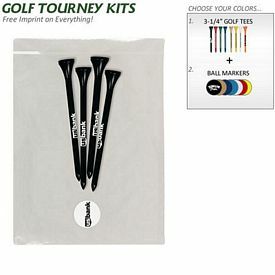 You can imprint useful messages or inspirational quotes on the customized logo golf tees so that there is an increased sense of sportsmanship for the players. 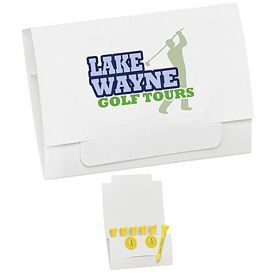 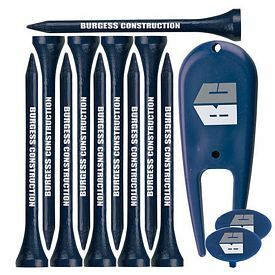 Get your logo golf tees from The Executive Advertising to make a mark on your customers. 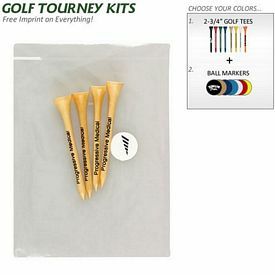 We have plastic tees, wooden tees, short tees and logo tees - everything that you could possibly want. 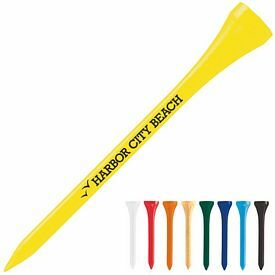 We have the right customized golf tee for you so that you can never go wrong with something as vital as advertising. 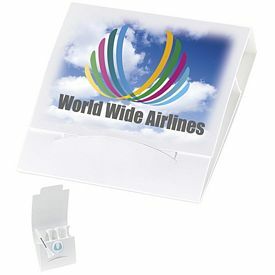 We do not charge you with any setup fees so that your investment can be made comfortably. 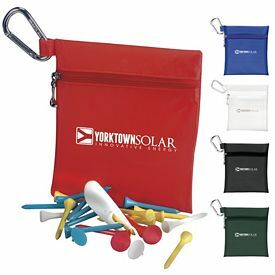 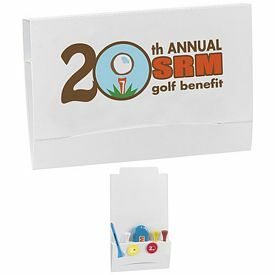 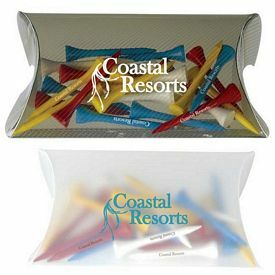 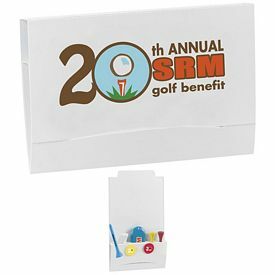 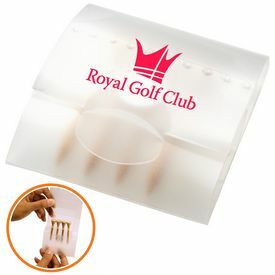 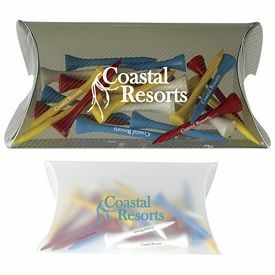 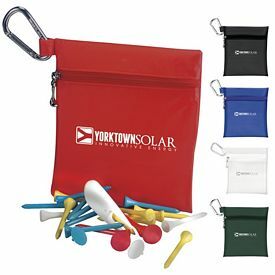 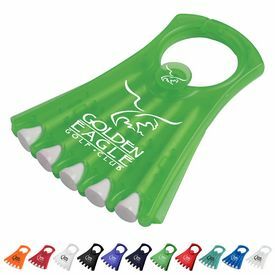 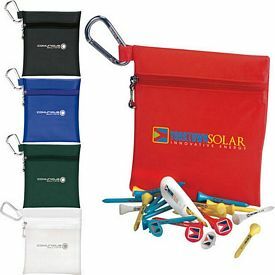 Just like all promotional golf accessories, these are available in a variety of size and colors. 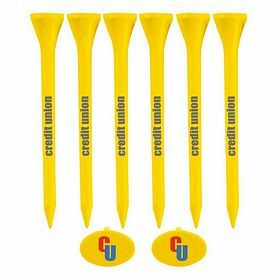 You can match up the theme or nature of your business with the design of the customized golf tees in order to leave a clear impact upon the audience. 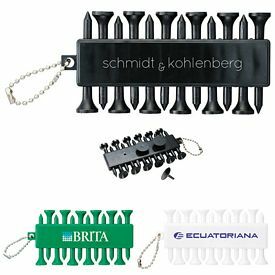 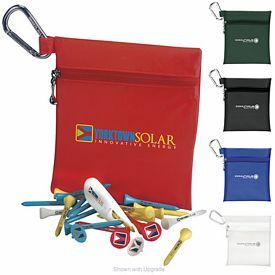 We provide durable and long-lasting promotional products that are of a very good quality. 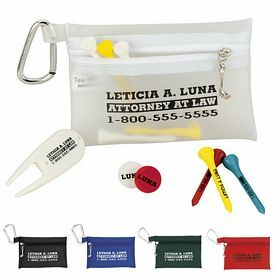 This keeps your company reputation intact in the market. 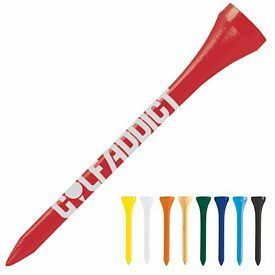 Browse through our online catalogs to find the most fun and enticing promotional golf tees. 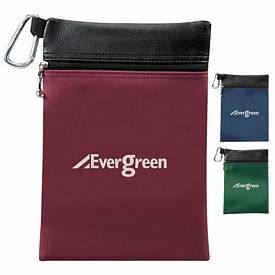 These come in various colors, so you can pick out your favorites easily. 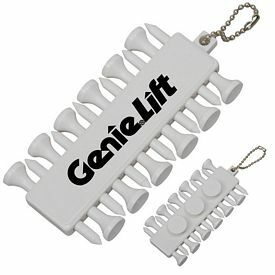 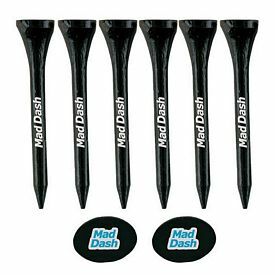 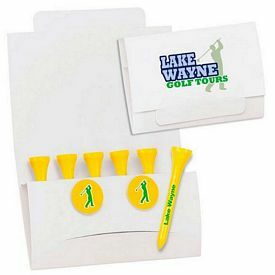 You get additional accessories with some of our customized golf tee sets. 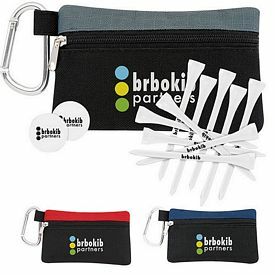 There are balls markers and divots that can come in handy to all golf players. 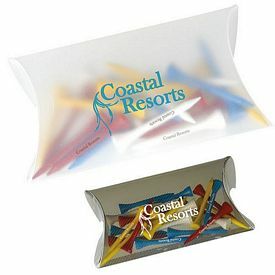 Thus, you will leave a better impression and get better response from your customers. 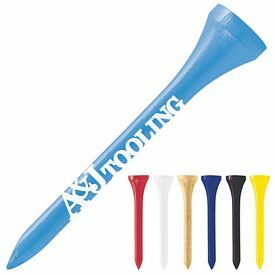 Our imprinted golf tees are an economical promotional option and everyone appreciates it. 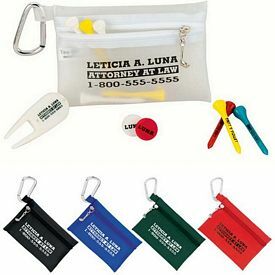 These are very affordable and can be distributed to people with ease. 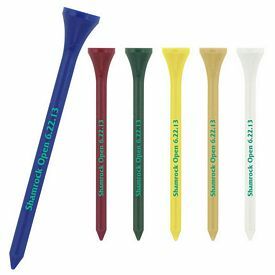 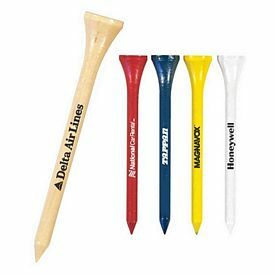 Make your company popular with your company by providing customized golf tees at your next marketing event or tournament!